All you need is baking soda! 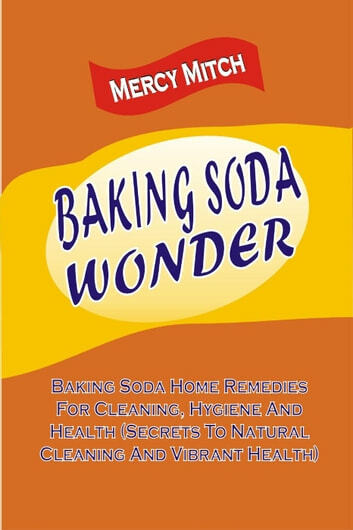 Baking soda is a wonder! It is the secret to a safe and healthy home and environment. It is highly superior to toxic commercial household cleaners that can endanger the health of your family and your pets. Baking soda is environmentally friendly, safe, non- toxic, incredibly cheap and 100 percent effective. Its versatility is unparalleled. It can be to used to address a wide range of household issues that will blow your mind! 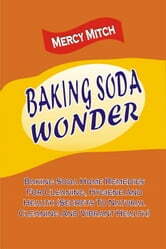 This book, ‘Baking Soda Wonder’ will teach you how to make this precious chemical compound work for you. With over 80 recipes contained inside, you will learn creative and inexpensive ways to keep a spotless home and enjoy a healthier body and lifestyle. Here, the secrets of this versatile ingredient that you didn’t know about are uncovered. There are useful tips can be applied all over your home. From the kitchen to the bathroom, laundry, garage, garden, pets, beauty uses, personal health care and outdoors, you will be overwhelmed with the versatility and effectiveness of baking soda. This book covers virtually everything you need to know about taking care of yourself, your family and home in an inexpensive way.